Kasisto enables financial institutions to service, engage and acquire customers via human-like, intelligent conversations, anytime, anywhere. 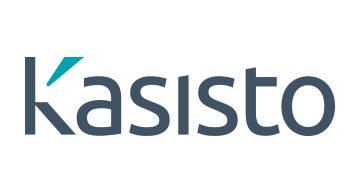 Kasisto’s Conversational AI platform, KAI Banking, powers omni-channel virtual assistants and chatbots who are fluent in banking across mobile apps, websites, messaging platforms, and voice-enabled devices. KAI is the leading Conversational AI platform for the finance industry and Kasisto’s customers include DBS Bank, J.P. Morgan, Mastercard, TD Bank, Standard Chartered, Wells Fargo, among others. They chose KAI Banking for its proven track record to drive business results while simultaneously improve customer experiences. The platform is engaging with millions of consumers around the world and is optimized for performance, scalability, security, and compliance. • Champion their financial well-being – KAI uncovers insights and makes recommendations to help customers manage their money, not just move it. • Help them discover products they need – Conversations with KAI naturally lead to contextual offers for products and services. Personalized assistance that is relevant increases the lifetime value of each customer. • New channels open new relationships – Digital marketing and sales with KAI lowers the cost of acquisition and uses intelligent, proactive conversations to provide steady value.